-No artificial colors, no artificial flavors, no preservatives. -No yeast, starch or gluten. The consumption of Nature Made Fish Oil, which contains Omega-3 fatty acids, may reduce the risk of coronary heart disease. The FDA has evaluated the data and determined that although there is scientific evidence to directly support the claim, the evidence is not conclusive. Omega-3 fatty acids also help maintain triglyceride and cholesterol levels already in the normal range. 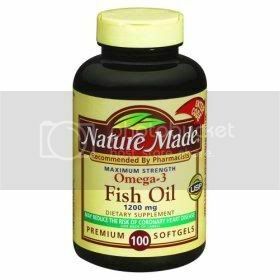 Nature Made Fish Oil has no artificial colors or flavors, and no chemical solvents, yeast, starch, or gluten. 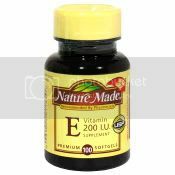 Take one to two softgels two times daily with a meal. Keep bottle tightly closed. Store in a cool, dry place, out of reach of children. Do not use if imprinted seal under cap is broken or missing.